Hey!! My name is Jake as you probably already guessed! Hmm, bit about me… I’m definitely your average guy, full time job, try to stay healthy and LOVE a good cheat meal! I started @jakesfoodbible last December after my wife suggested I do it as all I seemed to do was take pictures of food when we were out (yes, I’m that person). Almost one year on here we are and luckily not the size of a whale :). We’ve noticed that, much like the author of the real bible, no one knows what you actually look like. Why do you think it is that so many food influencers choose to stay anonymous? 6 words – It’s all about the food, baby! When I first started @jakesfoodbible I had no idea what I was doing to be honest, I just wanted to share great food spots with everyone. More recently I’ve started to think of more ways to showcase the food I post so watch this space! I think a lot of foodies stay anonymous as it takes a lot of balls to put yourself out there – also it’s quite easy to look like a complete muppet on the front camera of a phone :’)! So who’s your foodie idol? Where do I start! 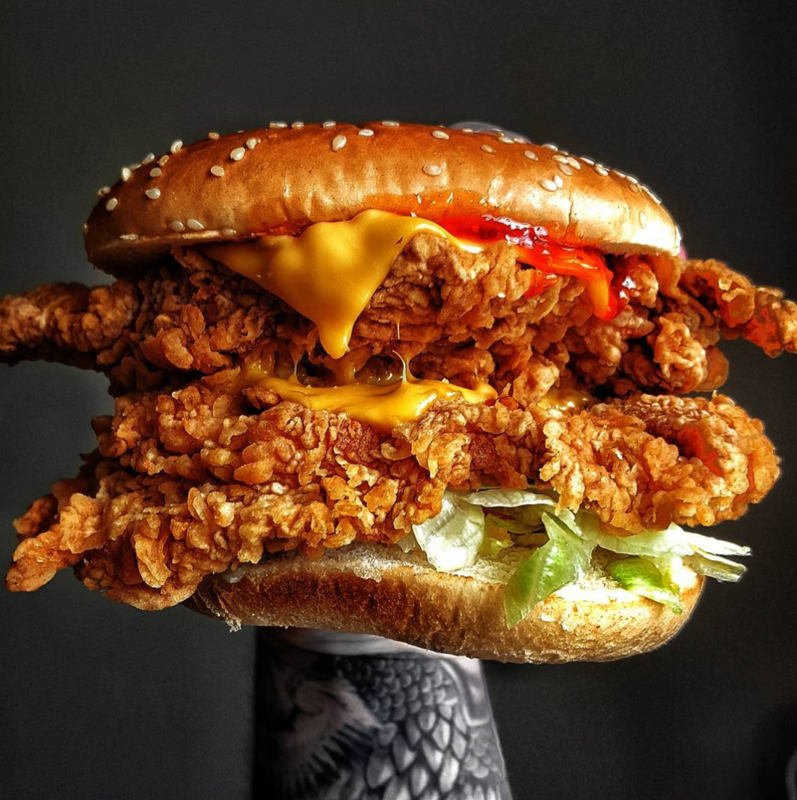 I have so much time for @ks_ate_here, @tomsbigeats and @eatfamous! These guys are smashing the game right now and inspired me to be where I am today! I’d probably say my foodie man crush has to be @adamrichman. Watching Man Vs Food definitely got me into the cheat day food scene – the dude’s a legend! Street food is EVERYTHING in my opinion. I’m a fan of a decent restaurant as much as the next guy but street food is special. Independent traders put their whole life, blood, sweat and tears into their food and it shows! I LOVE the attention to detail and the personal stories that go with the food – can’t beat it! It has to be Street Feast right? The first time I went I was blown away by the variety of food and the sick atmosphere. Always at the top of my list! If we waved our magic wand (probably more like a kebab) and granted you unlimited food from any one trader, which would it be and why? Ohh, that’s a toughy! I would probably have to say @nannybills if I had to pick one. Their food and service is on POINT. I’ve always been a fan girl ever since I started @jakesfoodbible – Darren has always looked after me and I have a lot of time for the passion he puts into it! Btw, can I have that kebab magic wand when you’re done please? Thanks. These questions are getting harder! I hope I win a speedboat at the end! Weirdest food would probably be when we visited Morocco a few years back. We found ourselves on a roof terrace above a rug factory in Marrakesh (sounds sketchy right?) and we must have had 12 tagines each. I can’t tell you what was in them but it was incredible! Best street food has to be in Barcelona for me - I love the open markets and the atmosphere! It’s definitely more of an experience than just grabbing a bite to eat which is what I live for! Why do so many bloggers have a thing for photographing street food? I know all the food bloggers will agree with me on this one… The lighting is on POINT. Can’t beat a bit of natural light! 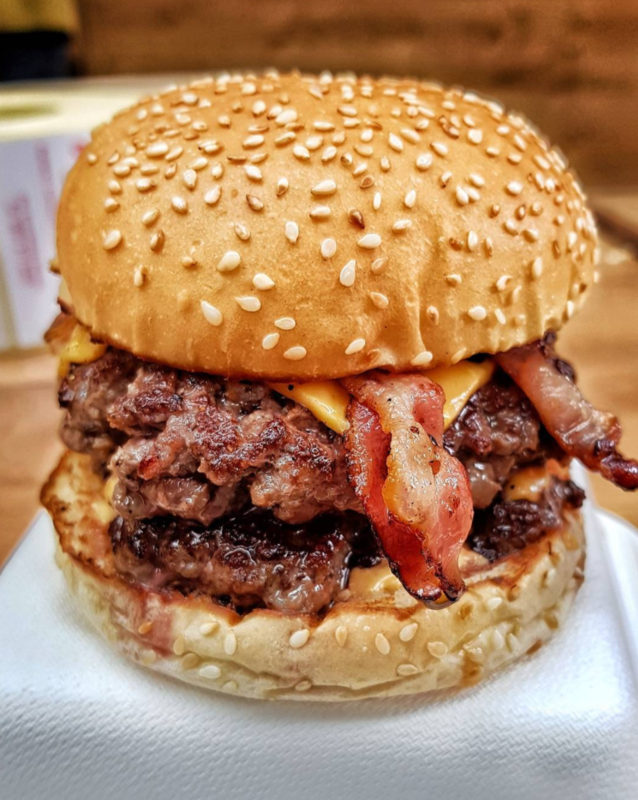 Also for the awesome shots you can get – nothing like a proper burger grip with juices all over the place! (Wet wipes recommended). It’s definitely growing!! I’ve noticed how much it’s taken off in the last couple of years – it seems to be everywhere at the minute! Great for the economy, not so much so for my waistline! Simple, burgers are actually healthy and 1 of your 5 a day. YASSSS! Oh, and extra sauce wouldn’t cost 5p from McDonalds, it’s just rude! 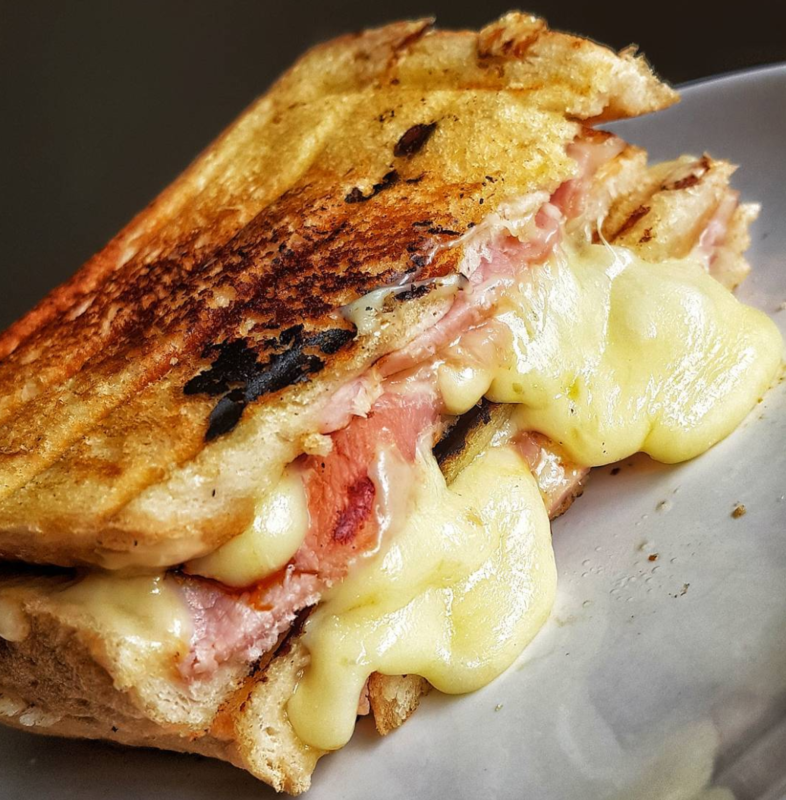 I’m trying to think of something exotic to say but I would probably be a cheese toastie –plain and simple, can be a bit messy but who doesn’t love a bit of cheese?! It’s a great way to try new places! I’m always going back to my favourites when planning cheat day trips so it helps me try new traders!